Bühler will focus on digital solutions designed to make foods safer, to save energy, and to prevent waste, at the Ipack Ima trade show 2018 for process technology and packaging. Digitalization contributes significantly to Bühler’s goal of slashing energy consumption and waste in the food chain by 30% by the year 2020. “One third of all food is wasted or never reaches consumers in the first place,” says Johannes Wick, CEO of the Grains & Food business. “By applying digital solutions, we are making targeted efforts to make food production more sustainable and safer,” says Wick. Bühler is presenting innovations such as sensor technologies for pasta production, predictive maintenance of durum processing systems, or consistent process monitoring based on new sorting technologies. The related food processing data are now readily available thanks to digital solutions rolled out by Bühler. These are the requirements of the consumers worldwide and of the strict legislation in the European Union and the USA. “With digitalization and the Internet of Things, we are in a position to launch entirely new services enabling our customers to gain greater transparency in their production processes,” says Wick. At the Ipack Ima trade fair to be held in Milan, Italy, May 29-June 1, Bühler is devoting its exhibits on 1,200 sqm to the new possibilities that digitalization offers to the food production industry, the company announces. Based on innovations such as its newly developed sensor technology for pasta production, Bühler is showing how digital solutions can enhance food safety and cut energy consumption. “Digitalization is an important driver in our aim to reduce energy consumption and food waste in the production process by 30%,” says Ian Roberts, CTO of Bühler. Smart automation solutions enable customers to decrease their retracing and monitoring administration requirements from material reception to load out by as much as 80%. The potential of new digitalization solutions in the food industry is enormous: in 2017 alone, Bühler launched 10 digital solutions. Additionally, 50 more are currently under development. With its Osiris vertical grinder (pictured), Bühler is introducing at the Ipack Ima a grinder for durum millers, which is completely equipped with diamond technology. 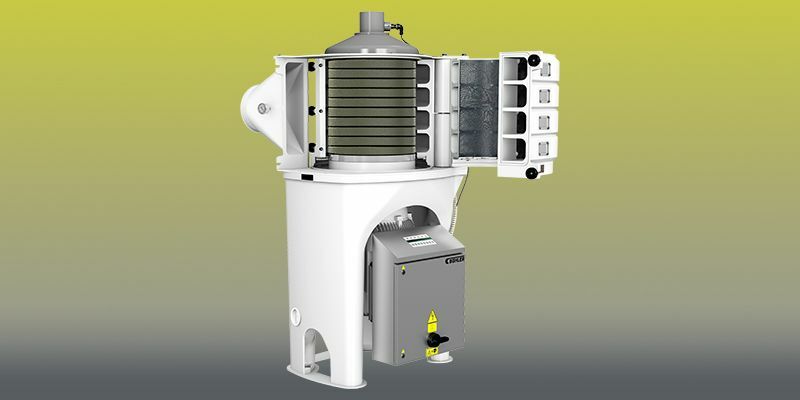 This innovation achieves a throughput capacity of up to 12 tons of grain per hour. Customers also benefit from cloud-based maintenance options. Predictive maintenance allows them to perceptibly reduce maintenance costs and downtimes. Bühler Networking Days, at Ipack Ima 2018, will bring start-ups and scientists to address the major challenges that the food industry faces today. In a number of breakout sessions, experts from Bühler and leading industry representatives will focus their attention on the hot issues of today’s food production and together seek new solutions to solve them. They will hold discussions of topics such as hygienic design, re-traceability in the food chain, food fraud, alternative proteins, and digitized value chains. Challenges such as food fraud and scandals or the looming protein gap can only be met if all the players join forces, says Bühler.